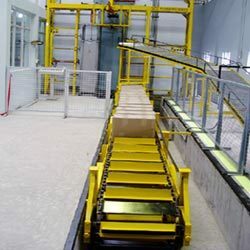 Leveraging on our vast experience, we manufacture and export a high quality range of conveyor systems that are used to move a wide variety of materials from one location to another. 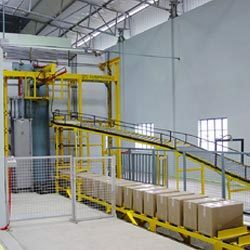 Robustly constructed using latest technology, these conveyor systems allow quick and efficient handling of materials in various industries. Our range of systems are available with variable speed drives that can be changed for different application. We also custom made these systems as per the clients specifications. We offer our clients with a quality assured collection of loading and unloading conveyors that are used for loading and unloading purposes. Applicable in diverse sectors, these loading and unloading conveyors stand apart in terms of excellent finish and zero defect. Danver can design and supply overhead type monorail conveyor system for handling of materials. This type of conveyor is used for gamma sterilization plant, for paint shop, assembly shop, dip glazing shop for refractory industries. In this type conveyor can be designed with variable speed drive the linear speed can be changed for different application. 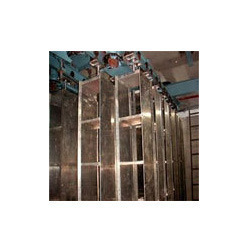 The same chain type conveyor can be supplied as floor mounted inverted type as per the requirement. 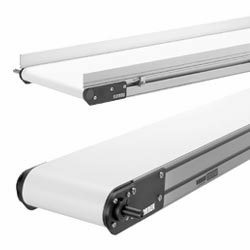 We have in store for our clients an adeptly manufactured gamut of ratchet type industrial conveyors that are easy to install and convenient to use. Built using finest quality raw material, these ratchet type industrial conveyors are resilient and durable. 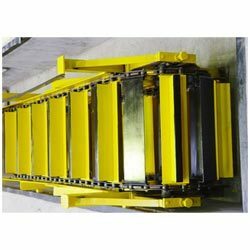 Our assortment of conveyor systems is fabricated by our adept team using finest quality raw materials thereby making them resilient and durable. We undertake customized orders for the industry specific production of conveyor systems. 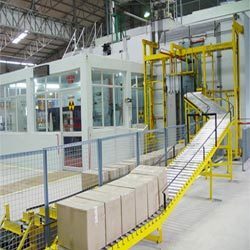 Floor mounted roller conveyor for any length and capacity can be designed as per the layout of the plant. Ratchet type conveyor is used as feed type conveyor. This conveyor can feed the materials one after another as per the sequence set. Looking for Conveyor Systems ?